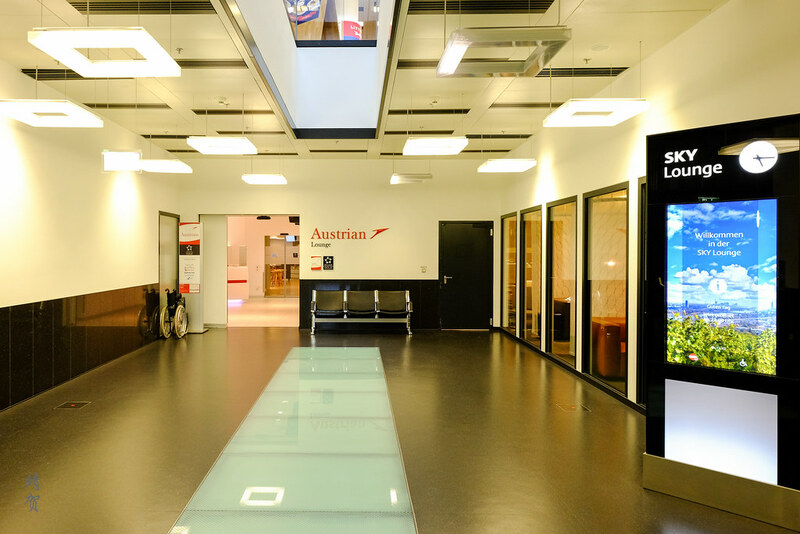 Since it was my first time arriving at Vienna airport, I consider the lounge for Austrian Airlines to be quite easy to find even if it is not the most accessible. Signs to the lounges from the transit security check was visible and travellers need to take the elevator up one floor to get to the lounges. Vienna Airport is not exactly the nicest, since the interior was fairly old but it works with a layout that is easy to navigate. 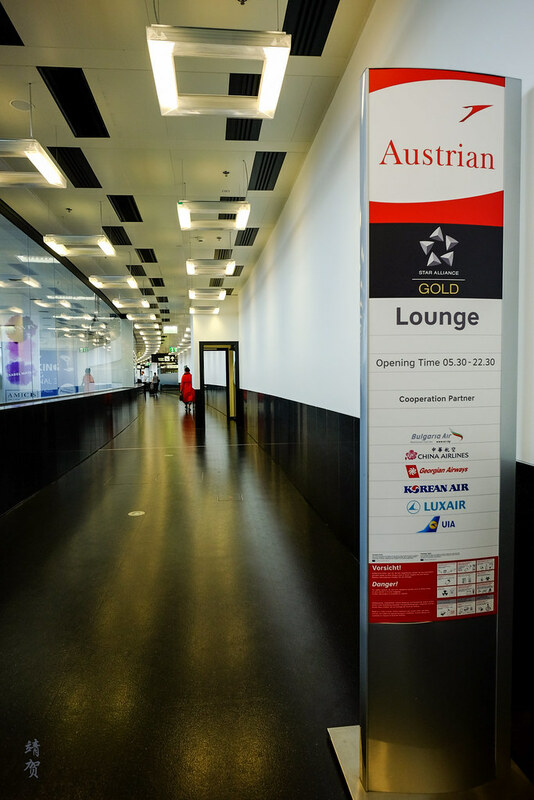 Another airport lounge named Sky Lounge is located next to the Austrian lounge. There are some chairs outside the lounge which I noticed was used by guests to make telephone calls when the lounge itself is busy and noisy. 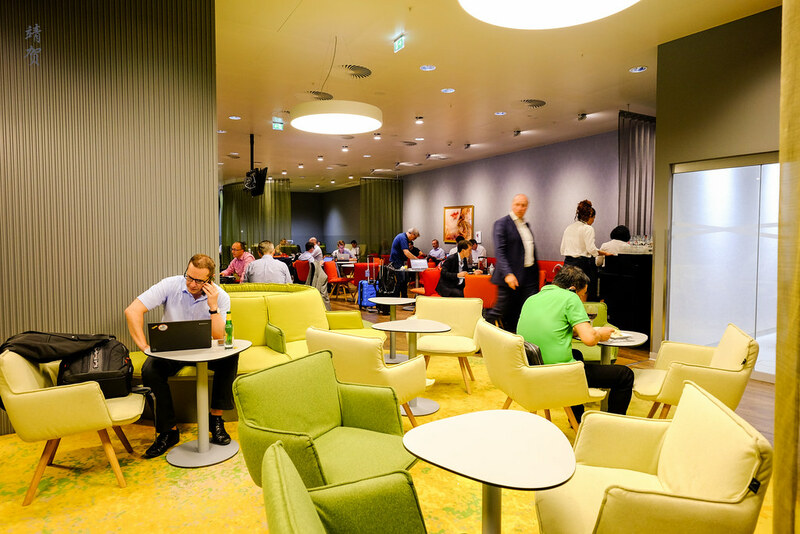 The lounge I visited was near the F gates (also the gates where Schengen flights departs from) and there is a common reception for the lounge with a separate section for First Class and Star Alliance Gold members. At the reception desk there was several agents to help with checking your credentials whereupon they will lead you to the correct lounge. Lounge was crowded when I arrived and there was barely any empty seats in the dining area. 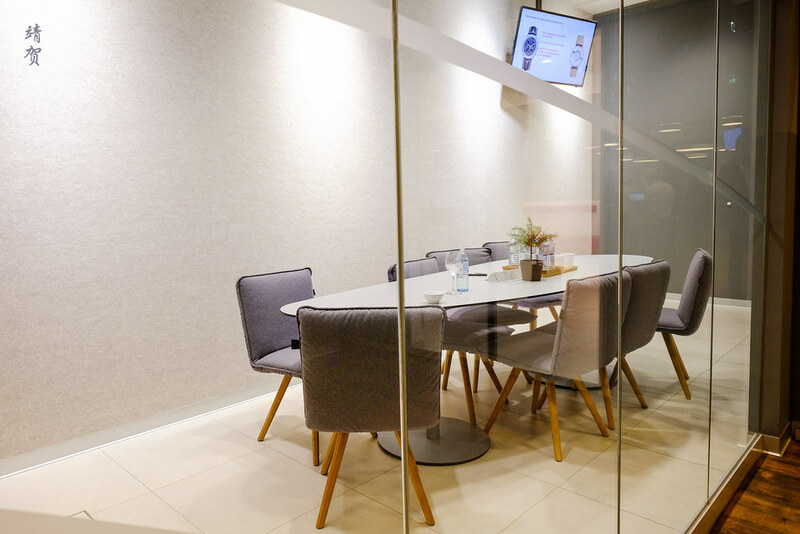 The only meeting space within a glass enclosed room was occupied. 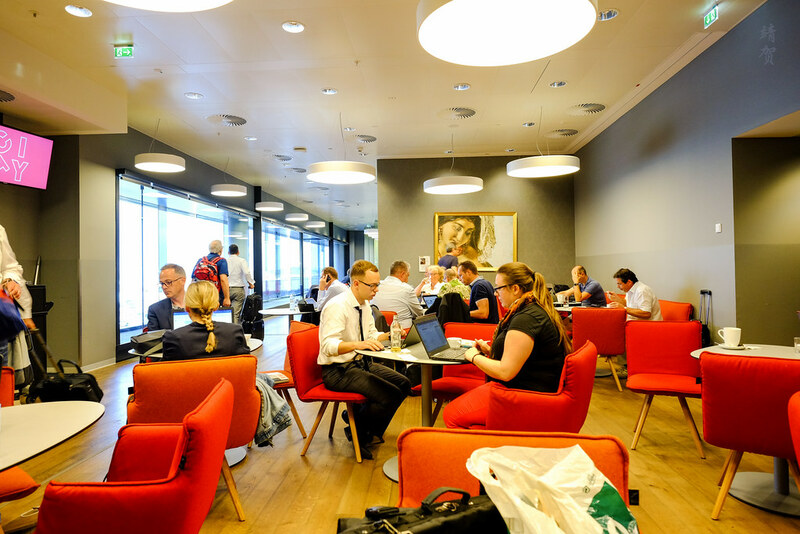 Somehow the meeting room becomes like an exhibition chamber meaning it is not exactly a nice spot to do any work in as all lounge guests entering and exiting passes by this area. As I was connected to the airport’ free WiFi, there was no need to use the lounge’s internet. Thus I cannot comment on their WiFi network. Inside the lounge, there are restrooms but they are a bit small considering the lounge is one of the airline’s main one for Schengen flights, and I didn’t notice any shower rooms but they have a diaper changing room for parents. In the center of this ‘L’ shaped lounge, guests can find the buffet area. 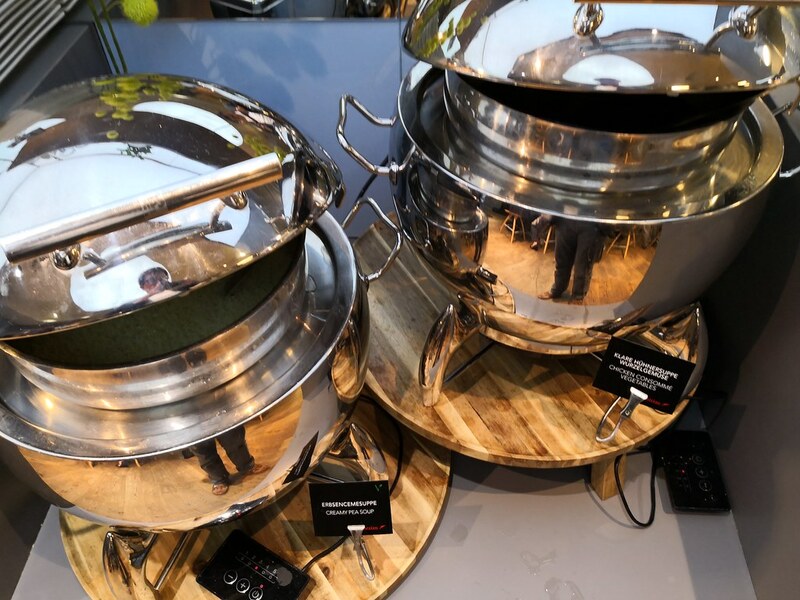 Seating nearest to the buffet counter was in the form of tall tables and stools. 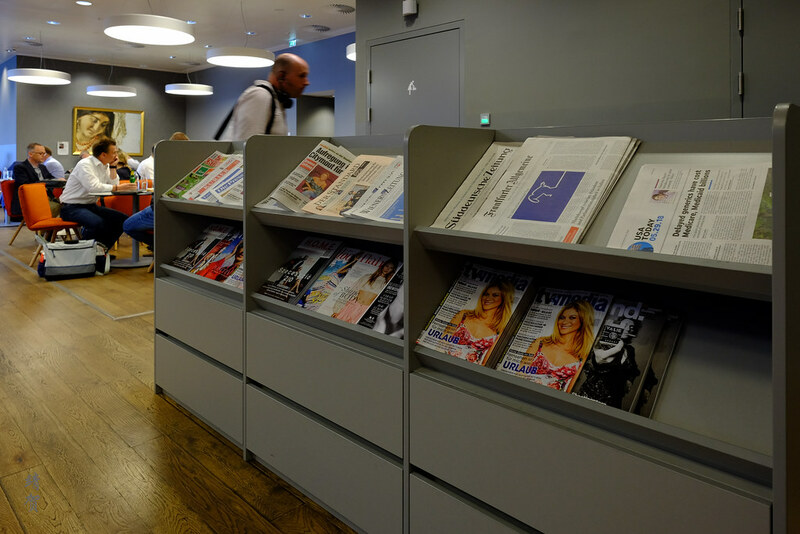 A rack filled with newspapers and magazines was located across from the buffet area. Unfortunately, most of them are in German with USA Today being the English newspaper. 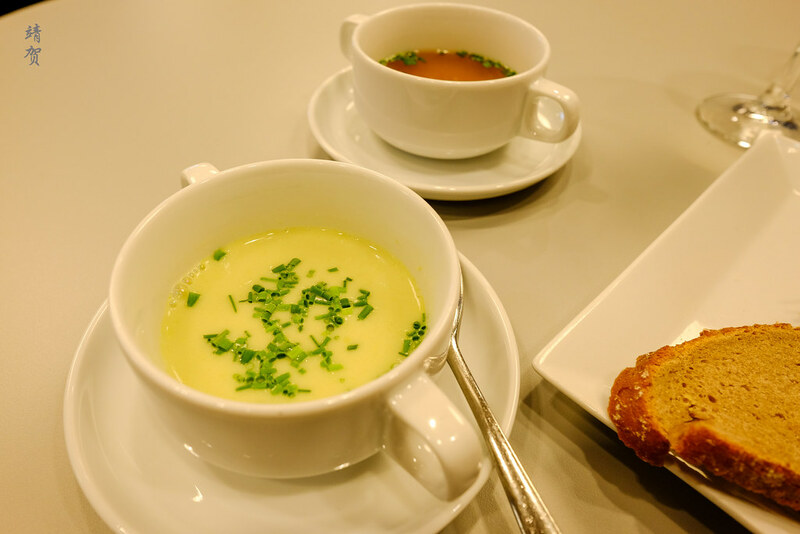 At the buffet counter, the main food choices was two types of soup (creamy pea or chicken consomme), a variety of bread from the basket with two different spreads (pumpkin seed or chicken gizzard). 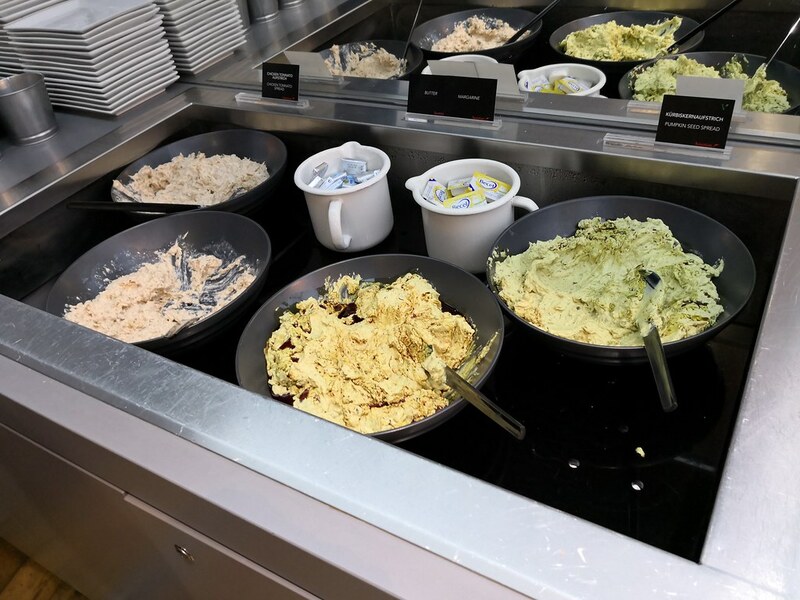 The usual butter and margarine is available as well. For the food, I would consider the selection to be underwhelming and was glad I had a nice meal onboard my arriving flight. 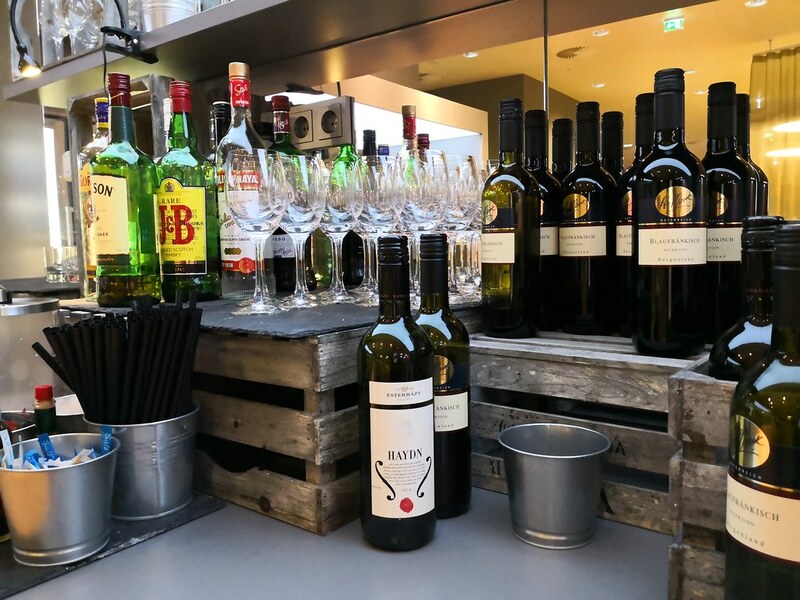 Maybe Austrian Airlines reserve the good stuff for flyers on their airplane cabin. 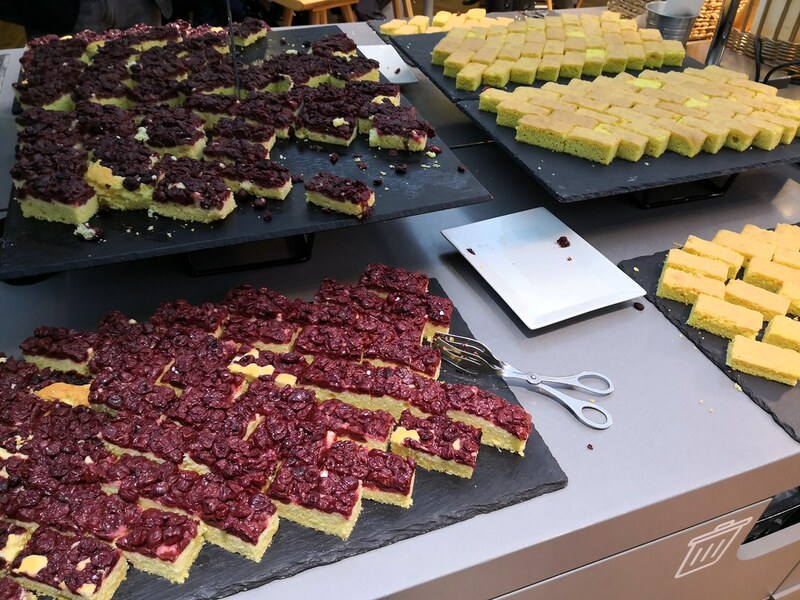 For snacks, there was cookies, pretzel sticks, nuts and chips with two different types of sweet cakes. Fresh apples are available as well. 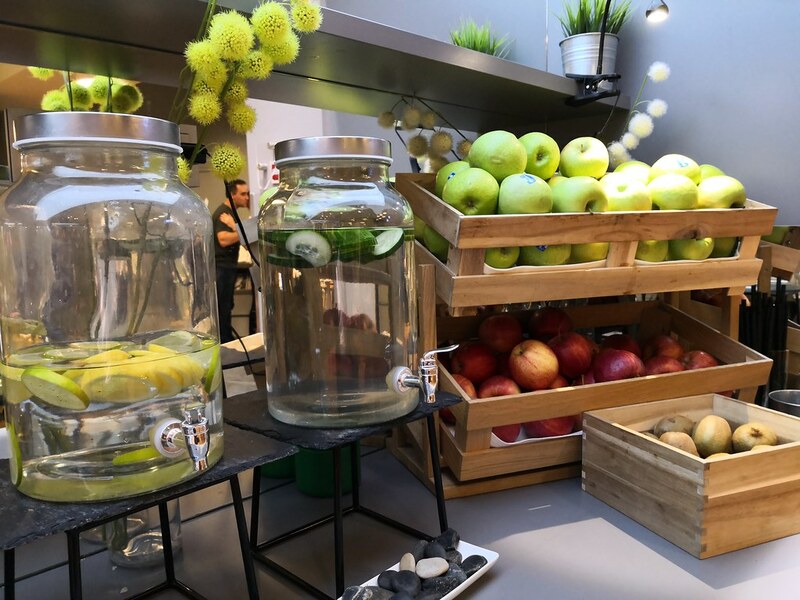 While the food choices was limited in the afternoon, there was plenty of beverages available from the fridge with still and sparkling water in the form of glass bottles. 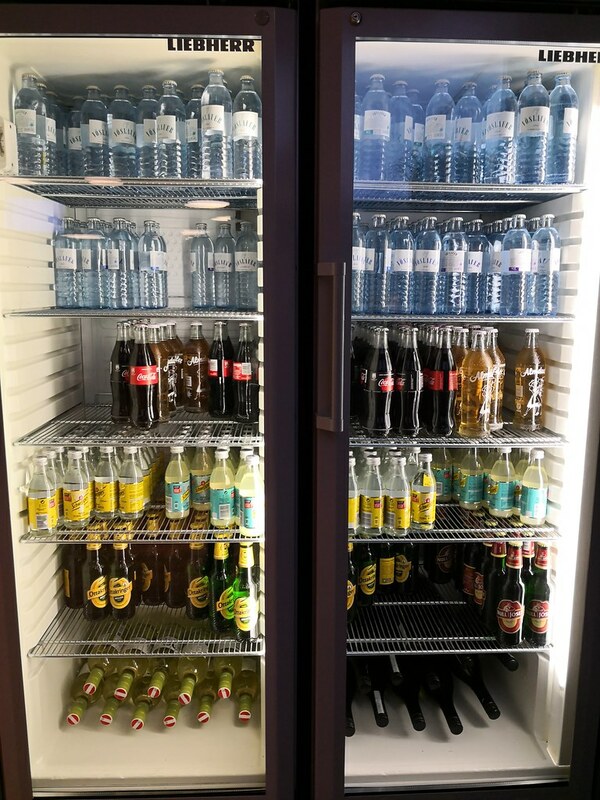 A variety of soft drinks and beer was available in a generous bottle format. 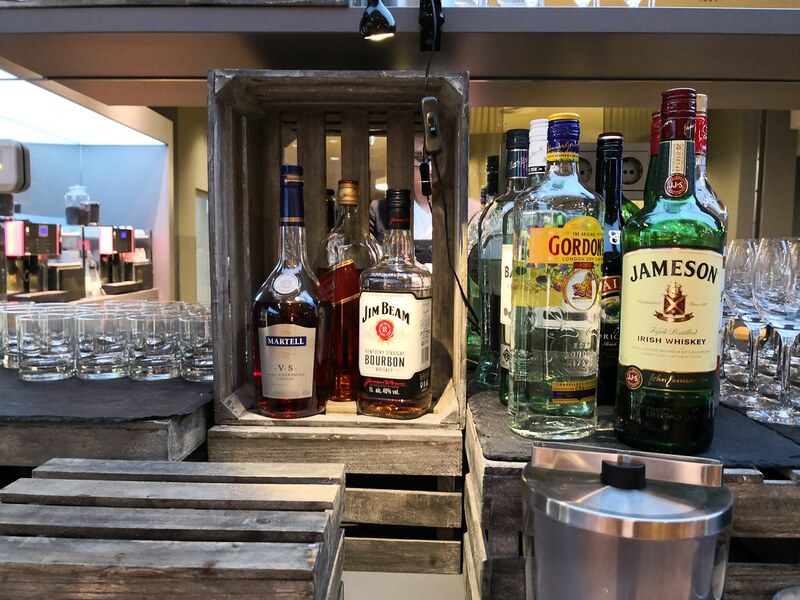 More alcoholic liquor and a choices of wines was provided on the bar counter, and the buffet counter has a WMF espresso machine with tea bags for the usual lounge beverage of choice. 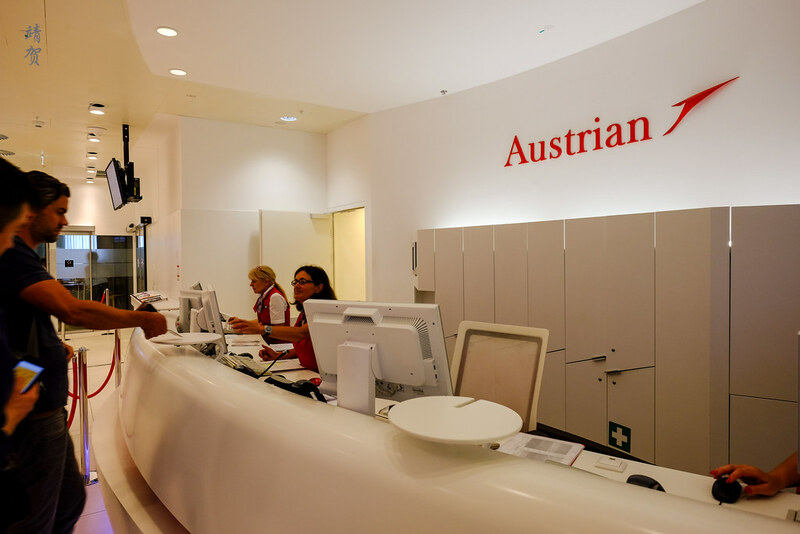 Austrian’s lounge has an open layout and the use of bold red upholstery in the dining area is symbolic to the airline’s colours. Past the dining area at the corridor, there are more seating spaces. As this area is narrower with limited seating, it is quieter. Perhaps that is also because it is located further inside the lounge. 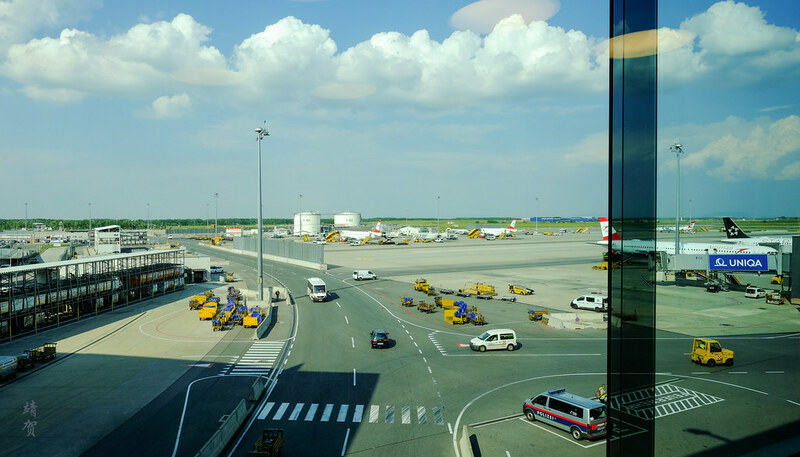 If I had a long layover in Vienna, this is probably where I would find a seat to conduct my business since it has a row of glass windows that overlook the tarmac. As such, it is the brightest part of the lounge in the day as well. While it faces the tarmac, there is not much to see since the runway was in a distance and there are no departure gates in the vicinity. Instead the main view was of the roads for airport vehicles. When lounging, the open floor plan does not allow for much privacy. Instead there are light curtains that acts as space dividers. 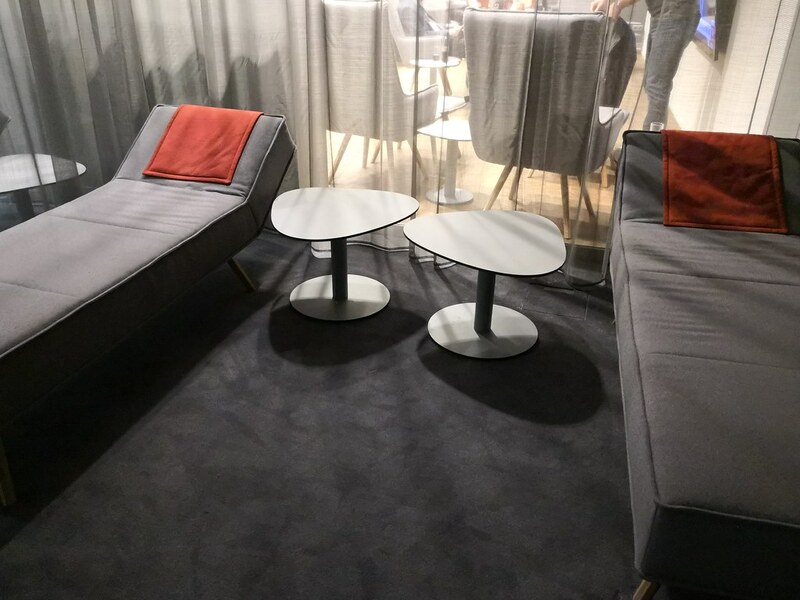 The curtains ropes off the reading space from the TV lounge and creates some sort of demarcation but the lounge chairs used does not allow one to really work or read in private. 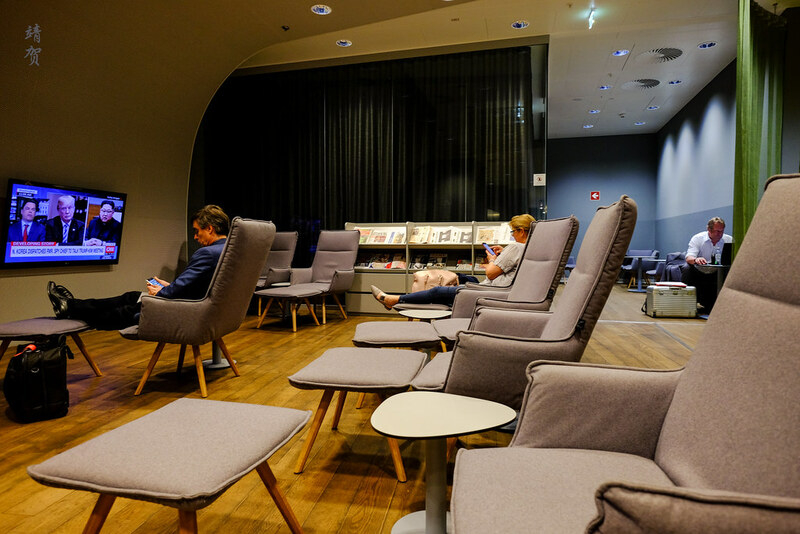 The good part of the lounge was that there were many lounge seats with their own leg rest that is comfortable to just relax in and watch TV. 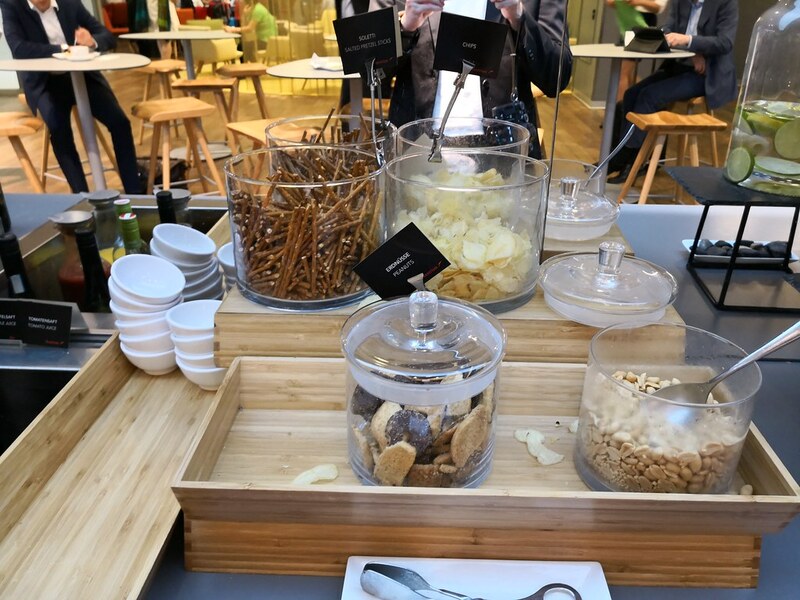 It was nice to have a small side table on the side for drinks and snacks but the lack of individual power outlets by each seat means that guests might not be able to charge their devices at the same time. Aside from the seating area, there are 6 day beds at the end of the lounge with dark curtains separating them from the rest of the space. This space is obviously for guests who have the time for a short nap, though it was empty when I visited. 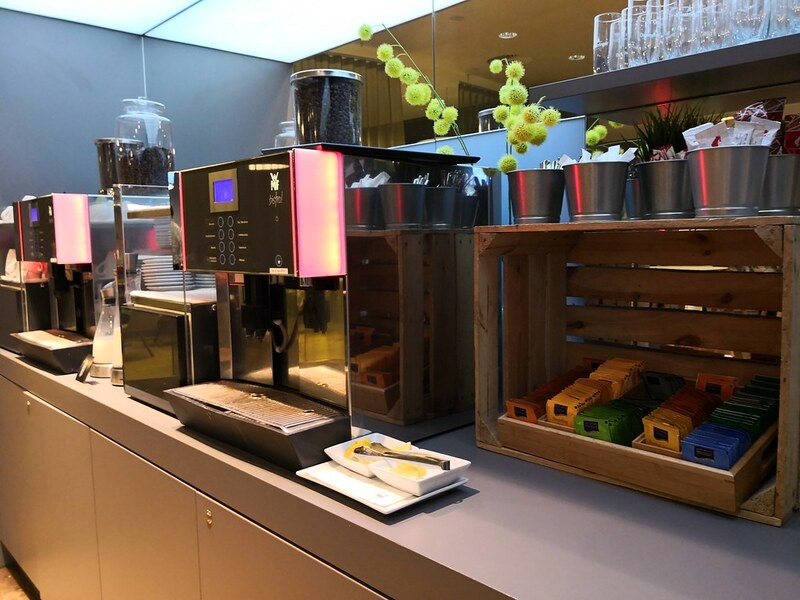 At the end of my visit to this lounge, I did not find it to be outstanding in any way considering Vienna Airport is Austrian Airlines’ main hub. 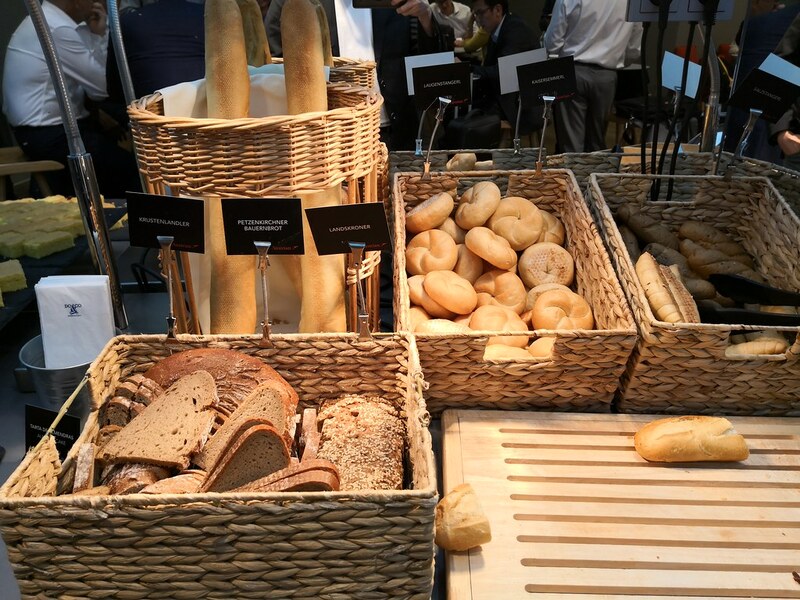 The small variety of food available in the buffet and the amount of crowds made it seem like a basic lounge. 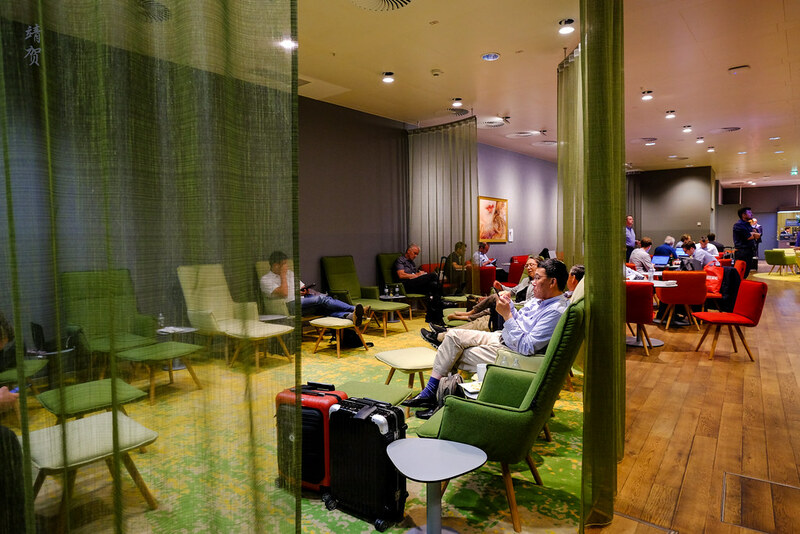 If I had a short layover, I might probably just skip this lounge altogether since there is not much that one would miss. 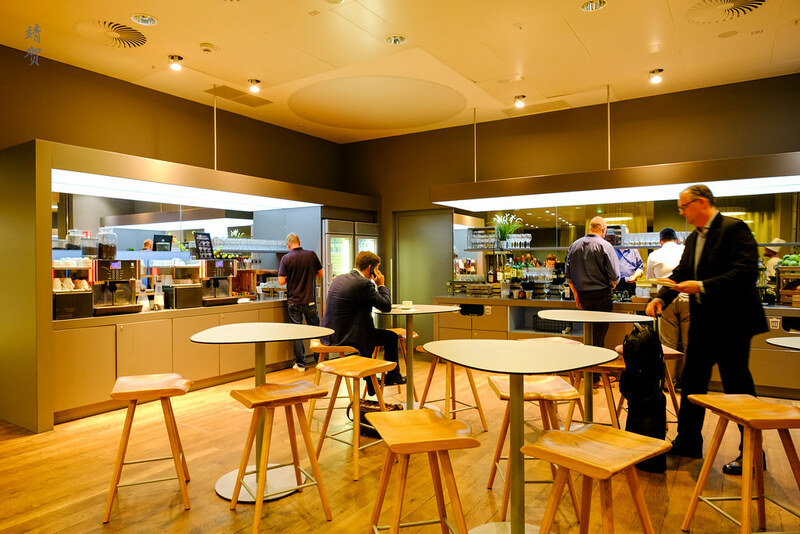 Though for long layovers, it does at least offer a space for a nap or space to work.